"As on July 27, 11,44,211 PANs have been identified and deleted or de-activated in cases where multiple PANs were found allotted to one person," Santosh Kumar Gangwar said. 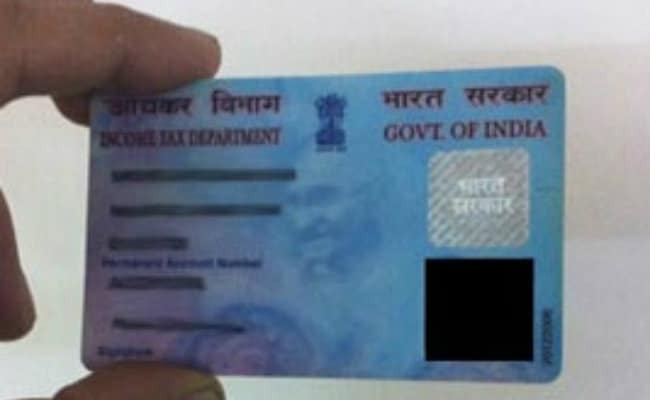 Permanent account numbers or PANs is the key identifier of taxable entity. New Delhi: More than 11.44 lakh permanent account numbers (PANs) were deleted or de-activated in cases where multiple PANs were found allotted to one person, Parliament was informed today. This was informed by Minister of State for Finance Santosh Kumar Gangwar in a written reply to the Rajya Sabha. "As on July 27, 11,44,211 PANs have been identified and deleted or de-activated in cases where multiple PANs were found allotted to one person," the minister said. PAN is the key identifier of taxable entity and aggregator of all financial transactions undertaken by one person. "One PAN for one person is the guiding principle for allotment of PAN," Gangwar said. He further said that as on July 27, 1,566 PANs have been identified as 'fake' which were allotted to either non-existent person or in the names of persons with false identities. The facility to delete or de-activate the PAN is available with the Assessing Officer through application software. During 2004 to 2007 also, an exercise for de-duplication of PAN was conducted in the tax department to identify probable duplicate PANs. Replying to a question on recovery of undisclosed income post demonetisation, Gangwar said the Income Tax Department conducted searches in 900 groups of persons during November 2016 to March 2017, leading to seizure of Rs 900 crore and admission of undisclosed income of Rs 7,961 crore. Besides, 8,239 surveys were conducted leading to detection of undisclosed income of Rs 6,745 crore. "Information of various kinds of wrong-doings by about 400 persons was also shared with other law enforcement agencies such as Enforcement Directorate and Central Bureau of Investigation for appropriate action," he said. He further said during the current financial year (till June end) the department conducted searches in 102 groups, seizing assets worth Rs 103 crore. Referring to the launch of 'Operation Clean Money' on January 31, Gangwar said about 18 lakh persons whose cash transactions did not appear in line with their tax profile were identified and approached through email/SMS. Over 9.27 lakh responses were received giving information on 13.33 lakh accounts involving cash deposits of around Rs 2.89 lakh crore. "Advance data analytics tools were deployed which further identified 5.56 lakhs new cases and about 1 lakh those cases in which either partial or no response was received in the earlier phase. Besides, about 200 high risk clusters of persons were identified for appropriate action," the minister added.